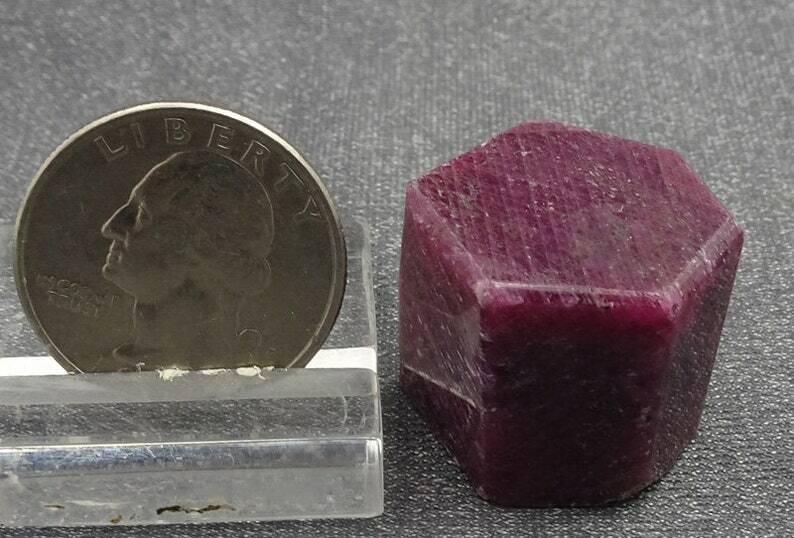 A Beautiful purple-red Ruby crystal, polished on top and all the sides, unpolished on bottom. Fluoresce neon red under LW UV light. Measures 0.88 x 0.85 x 0.80 inches, 2.2 x 2.2 x 2.0 centimeters. Free shipping within US, discounted for international!